Experience Secrets Akumal First with Low Introductory Rates! The grand opening of the newest addition to the Secrets Resort & Spa family may be a year away, but it’s never too early to snag a fantastic deal on your next Unlimited-Luxury® vacation! 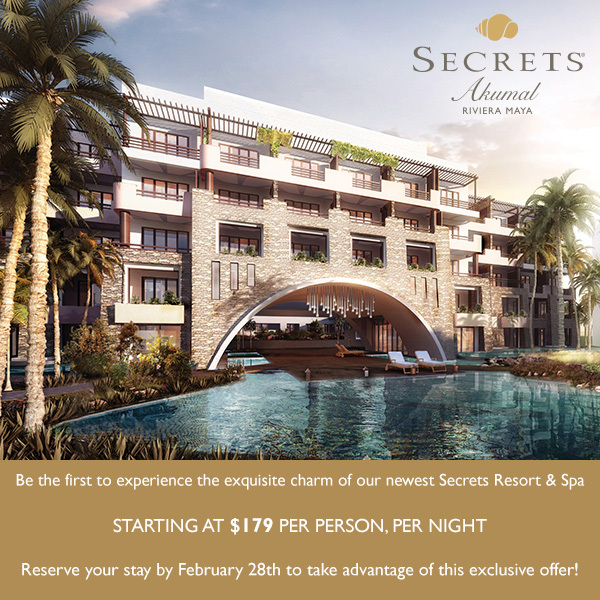 Reserve your stay at Secrets Akumal Riviera Maya by February 28, 2015 and you’ll be one of the first to experience this incredible resort, at only $179 per person, per night. Ideally located in the heart of the Riviera Maya along the white sand beaches and calm, clear waters of Akumal, this stunning new resort will offer adults a charming, picturesque escape from the stresses of everyday life. Whether you prefer spending vacation days lounging by the pool or partaking in all sorts of fun activities, the opportunities at Secrets Akumal are endless. 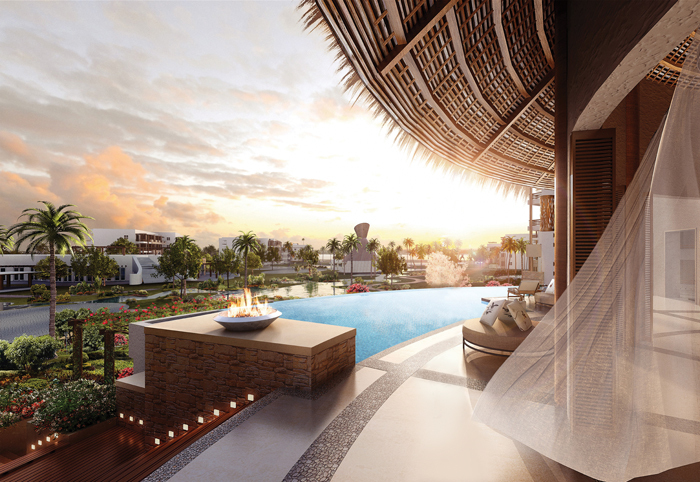 A rendering of the view from the lobby at Secrets Akumal Riviera Maya. Did you know Akumal actually means “Place of Turtles” in the ancient Mayan language? There’s certainly no shortage of these incredible creatures in Akumal, which is home to the highest population of green sea turtles in Mexico! Akumal is paradise for snorkelers and scuba divers. Both beginners and more advanced divers will delight in the rich marine life that calls the warm Caribbean waters off Akumal home. Experience another world with scuba diving and snorkeling at Secrets Akumal Riviera Maya. There’s no time like the present to plan your vacation to paradise! Book your stay at Secrets Akumal Riviera Maya today! This entry was posted in Secrets Akumal, Secrets Resorts & Spas and tagged Akumal, deals, introductory rates, resort opening, savings, scuba diving, sea turtles, snorkeling. Bookmark the permalink.